Utah motorists need to “start seeing motorcycles,” as the bumper sticker urges, because they soon may be traveling between lanes. The state Legislature is considering a bill that would allow motorcyclists to travel between lanes of traffic on Utah roads in certain situations. 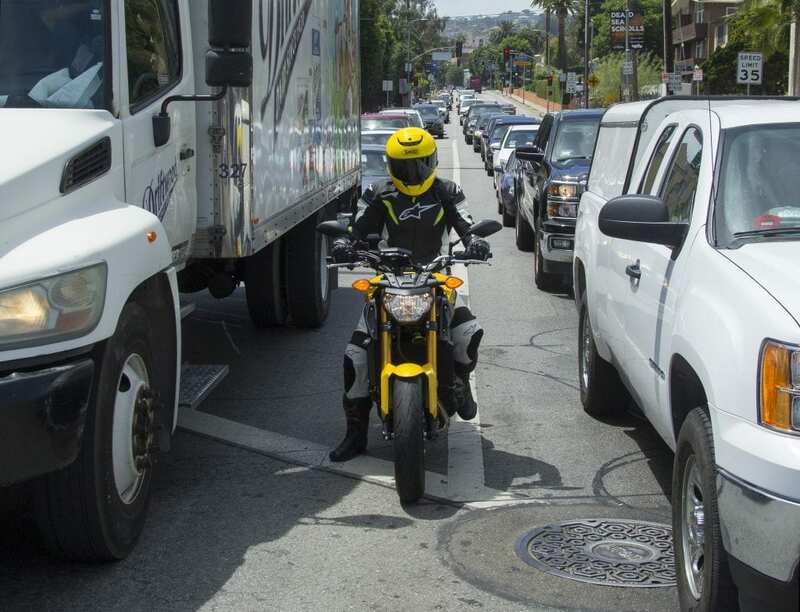 Riding laws under the proposal would be similar to those in California, where lane splitting is permitted, Froerer said. That wasn’t a selling point for Rep. Robert Spendlove, R-Sandy. “I have driven on those L.A. freeways, and it freaks me out,” Spendlove said. Moss said claims that motorcycles would be whizzing by are not accurate, as the bill only allows them to pass at a speed 10 mph faster than surrounding traffic. AAA Utah spokeswoman Rolayne Fairclough offered a mixed review of the bill’s handling of safety and liability. “I was surprised … that there was a slight increase in the safety of the motorcyclist,” Fairclough said of the studies shared during the presentation. But Fairclough said she was concerned that those studies were conducted in states and countries with universal helmet laws for riders. She suggested that wearing a helmet might skew the data and not apply in Utah, where helmet laws are more relaxed. “The other thing … was liability, and how very difficult it is to determine liability,” Fairclough said. Maj. Mark Zesiger, assistant superintendent of the Utah Highway Patrol, also had concerns with the bill. Before lane splitting is allowed in Utah, the UHP would like to see the public educated about how it works and address safety concerns, he said. Rep. Justin Fawson, R-North Ogden, praised the presentation of the bill and data provided during the discussion.